It was June of 2006, and I didn’t know the first thing about “the beautiful game,” other than I needed to find a team to watch besides the United States. Before you jump on me for not supporting my country, remember we racked up a grand total of one point in the group stages, losing to the Czechs and Ghana, and, surprisingly, drawing eventual champions Italy. Having spent my entire life in the Philadelphia area, I made the only logical choice, England. No matter how good they may look on paper or the pitch, they would always stomp on your heart when things got tough. The details of each individual match are blurry, as my four years in college managed to wipe most of my memories prior to 2007, but I do still remember the feeling I had watching this team. It had nothing to do with Beckham, or Rooney and his stomping on Carvalho where nobody should stomp, but with Steven Gerrard. I remember watching him, as I was still learning the game, and thinking, “Whoever he plays for, that is going to be my team.” That team, of course, our beloved Reds. Following the conclusion of the World Cup, I began my infatuation with Liverpool, at first from afar. I remember watching the 2007 Champions League Final, and watching the occasional match on Fox, but there was no waking me up at 6.30 on a Saturday at that point. In 2009, things changed. I spent the 2009-10 school year studying abroad, spending one semester in England, one semester in Sweden. From the day I stepped foot in England, I was completely hooked. It wasn’t the best of seasons, finishing 7thin the League, and crashing out of the Champions League in the group stage. I took plenty of abuse from the friends I made there, most of them being Chelsea or Arsenal supporters, but I loved every second of it. By the time the Europa League knockouts rolled around, I was watching with more friendly faces in Sweden, where the Reds still have a huge support base from their successes of the 70’s and 80’s. 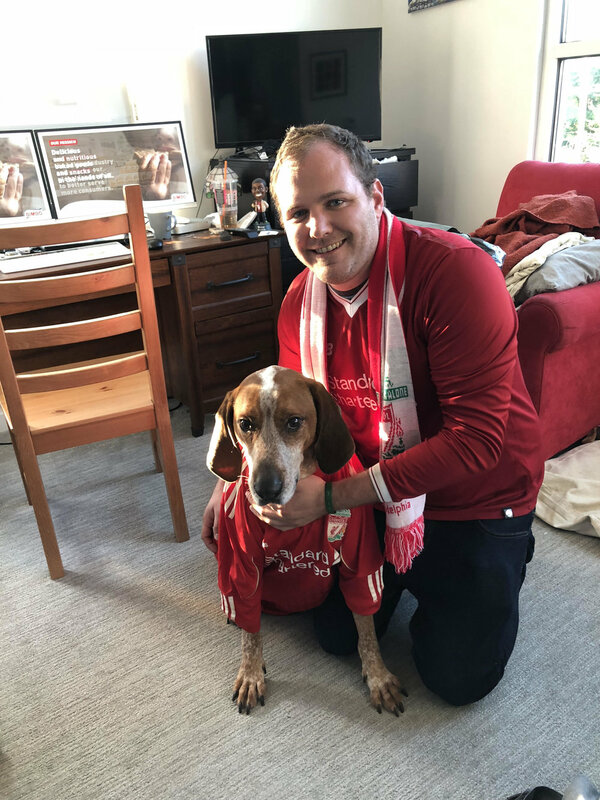 While our run to the Semi-Finals didn’t quite contain the European nights of lore, watching for the first time in a bar packed with other Reds, it was the first time I felt something more. I could feel the passion, the togetherness, and something else that I still can’t quite explain. What followed was nothing short of disastrous. 191 days of Roy-isms. A summer that included the signings of Paul Konchesky, Joe Cole, Christian Poulsen, and Milan Jovanovic (at least we got Raul Meireles right that season). Constant rumors about the threat of administration, and with it, a nine point deduction. Yet, I never stopped believing in the team. I knew that we were a sleeping giant, waiting to be roused from our slumber. It’s been twelve years since that introduction to Liverpool via the World Cup, and every day, my love for this team grows stronger. It hasn’t always been easy, but every second of it has been worth it, and nothing has been more worth it than being a board member here at OLSC Philadelphia and being able to share my love and passion for this club with every single one of you.